Hey everyone! I seriously love having a Foodie Penpal send me a box every month! Here is what I got this month! Real Fruit Strips- Mango and Strawberry! Every month a new surprise! LOVE getting the boxes! A special thank you to my new CA friend, Shanon! She sent some great stuff! Of what I got to try, Monkey called dibs pretty fast! LOL. If you wanna join in the fun, check out the link below. I love the excitement when my foodie box arrives! The mystery of what it contains makes me want to run into the house with my newly arrived surprise! Of course… I try very hard to walk normally to the door, slowly close it, then run to the kitchen to grab something to open my box!!! Let me say before I get to the details, they ask that we always include something hand written. My note was written on orange paper in the cutest hand writing!!! I wish I could borrow her to write on some journaling sheets for my scrapbook! If you’d like to join in the fun and get your own foodie penpal, go here and get signed up! I am super glad I did! It’s fun to get to try new stuff every month! You can check out some of my past boxes too! Pictured above are the contents of my July Foodie Box. The lovely Mrs. Cheryl hooked us up this month! She really outdid herself, I must say! Awesome! She also sent recipes to go along with the contents. 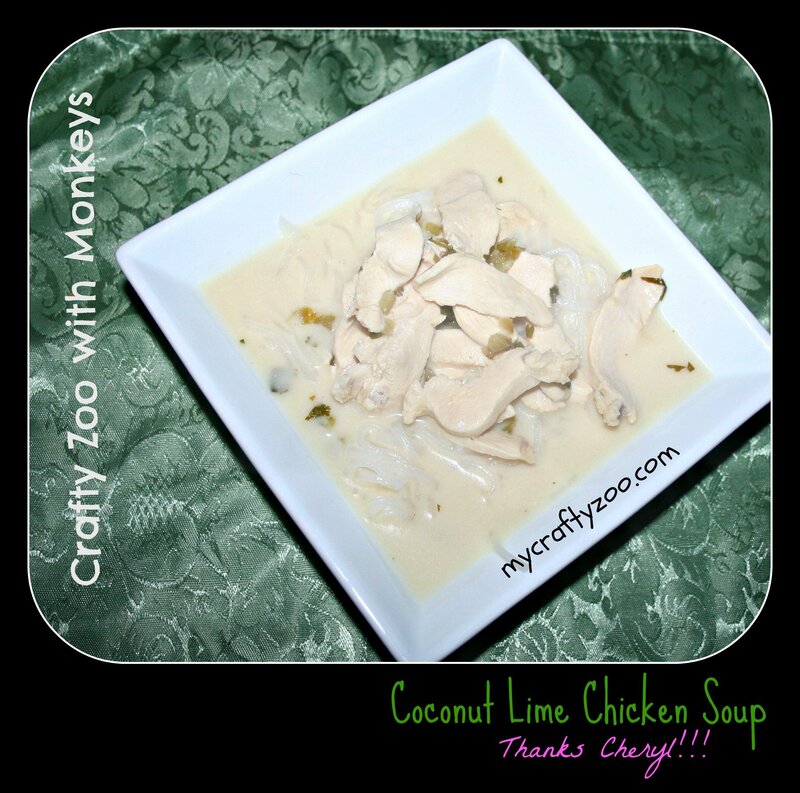 My favorite and seriously NEW FAVORITE recipe was the Coconut Lime Chicken Soup. 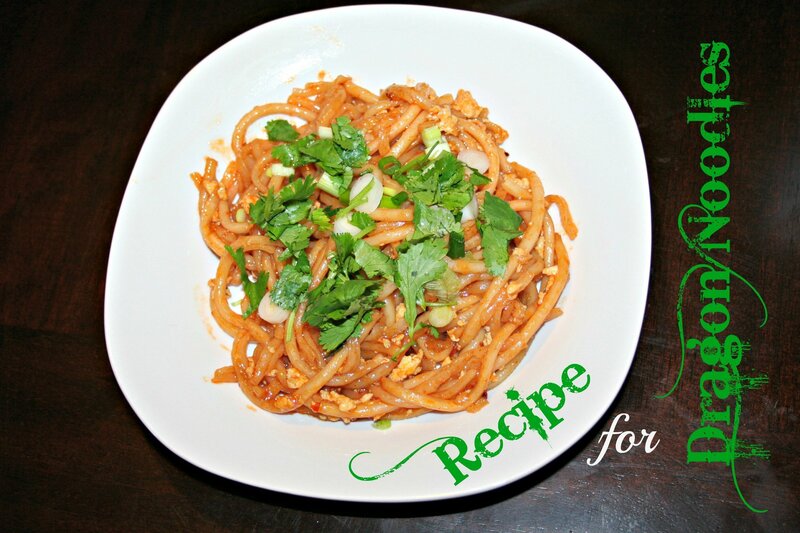 You can click the link to enjoy the recipe! Florida Oranges: Being from FL, she had asked me if there was anything local I would like… My answer of course was fresh squeezed orange juice! LOL. We all know that wouldn’t work, so she sent me fresh Florida oranges! Homemade Kimchi: Kimchi is a fermented Korean side dish made out of vegetables. It has a strong smell and strong flavor! Very interesting! Squid Brand Fish Sauce: Also a staple in our cabinet! We use it in a LOT of Asian dishes. Raw and Unfiltered Florida Honey (Orange Blossom): Let’s see…. Florida oranges and honey…. Certainly makes me want to hook up some chicken and dig in!!! LOVE IT!!! Amazing flavor! All in all, this box is gonna be hard to top!!! 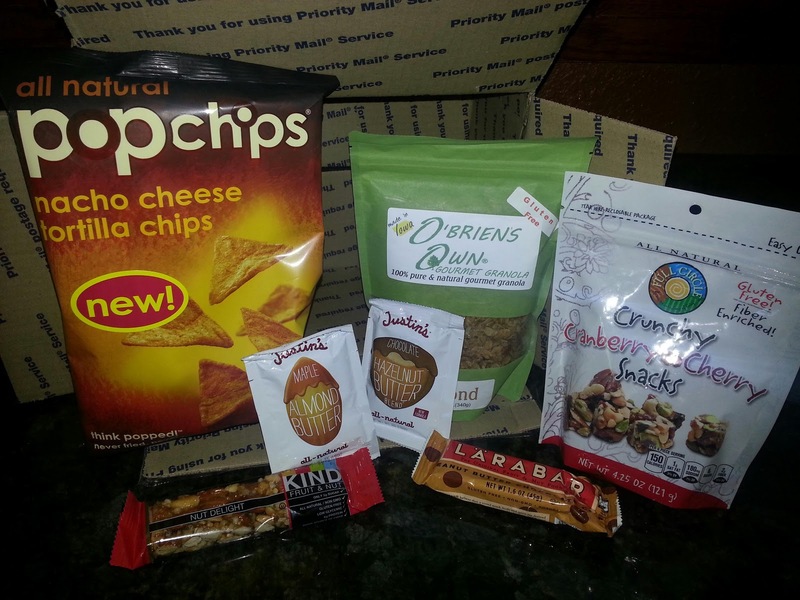 So far I’ve participated three months in the Foodie Penpal program and am excited and loving new products every month! If you are interested, you should check it out! Don’t worry, if you have allergies or things you just hate, you can let your penpal know so they’ll steer clear of those things! If you enjoy trying new things, I seriously suggest trying it out!!! You get to share your local favorites with someone and they share theirs with you! It’s a win on both sides!!! 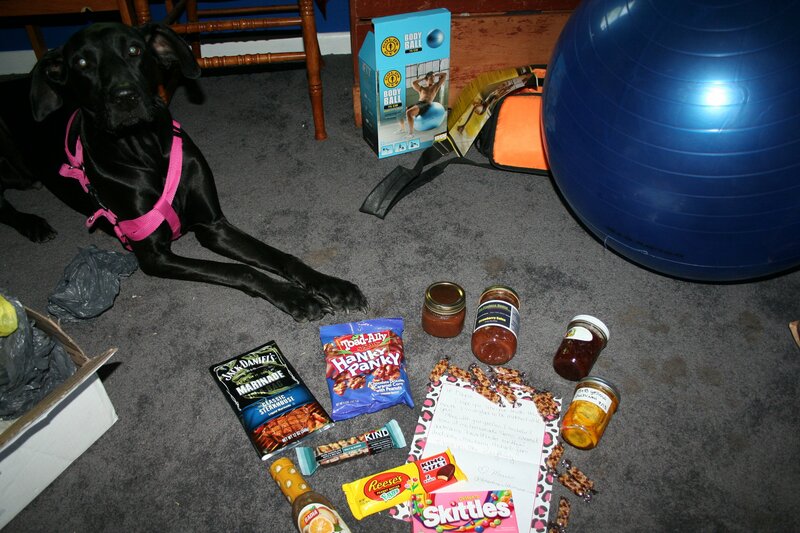 June Foodie Penpal: Thanks Paige! Hello My Lovelies! Okay, I have to admit, in my head that sounded very funny. Hope it sounded somewhat funny to you… Probably not…. I’m probably rambling… I feel like I’m rambling…. Okay, I’m done. I was evaluating myself as to why I love Foodie Penpals and it occurred to me that it is my love of surprises that fills me with excitement each time my box of goodies arrive! This month, my April Foodie Penpal was a fellow blogger, Maeve from Adventure with Maeve. Let me just tell you her website has some really great recipes and I loved reading about her adventures! I do believe Maeve is a Foodie in the best sense of the word! Among other things, my box this month included a fabulous selection of homemade goodies!!! There was caramel applesauce (did NOT last long), bread and butter zuchinni and strawberry rhubarb jam! We are saving the other two for some upcoming special occasions but they scream my name every time I open the cabinet! She also threw in some other goodies, Mojo marinade, Jack Daniel’s marinade (I am drooling over this one! I use to LOVE Jack Daniel’s chicken from TGIFridays, then they closed the one close to us down. My birthdays will never be the same! ), Hanky Panky popcorn (the name made me giggle, because I’m ridiculous and perhaps a bit old), and strawberry salsa! There were also some candies and a One of a Kind bar along with a Reese’s treat! A great big thank you to Maeve! I loved the box so much! If you have a second, check out her website! It’s fun reading and her recipes aren’t the usual run of the mill stuff! She will inspire you to get in the kitchen and create!